The captive finance arms of Honda, Toyota and Nissan may have to limit how much they allow dealers to increase the cost of auto loans after regulators accused the lenders of unintentional discrimination against minority consumers. The Consumer Financial Protection Bureau plans to cite American Honda Finance Corp., Toyota Motor Credit Corp. and Nissan Motor Acceptance Corp. as early as this month for unintentional discrimination, according to consent orders American Banker obtained. Investigations into all three lenders began in 2013. In citing the three companies for discrimination, the bureau is using a legal theory known as disparate impact, which holds that a practice can be considered discriminatory if it has an adverse effect on minority groups, even if it was unintentional. The CFPB says that auto lenders’ practice of letting dealerships set their own amounts of dealer reserve -- the share of a car buyer’s interest rate that the dealership earns for arranging the loan -- results in minority groups paying higher interest rates than other borrowers. That disparate impact amounts to illegal discrimination, the CFPB says. The orders, if approved, would require that the captives not only compensate potentially affected consumers, but modify how much discretion lenders give dealerships to exercise when increasing the cost of a loan. Because of that modification, the captives would not have to pay additional civil monetary penalties, American Banker reported. 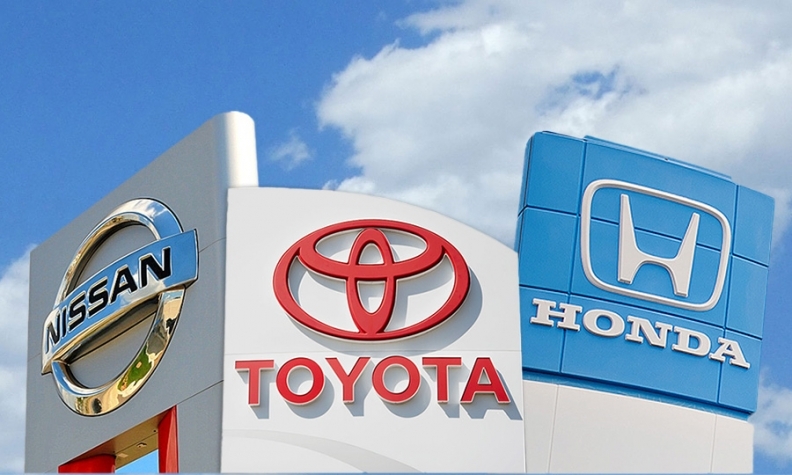 Honda, Toyota and Nissan finance arms would have to cut the dealer reserve they allow by about half of their current rates, American Banker reported. Honda allows between 200 and 225 basis points of dealer reserve, American Banker reported. The order would require that it go down to 125 basis points on contracts that are 60 months or shorter and 100 basis points for contracts longer than 60 months. American Banker reported that the changes for Toyota and Nissan were not yet set by mid-June. “Our enforcement process is confidential and we take any breach of that confidentiality very seriously. We are referring this matter to the Office of the Inspector General for further investigation and will cooperate fully,” a CFPB spokeswoman said. A Honda spokesman confirmed in an emailed statement to Automotive News that the company has been in discussions with the CFPB and the Department of Justice. “We have voluntarily provided the requested information and are fully cooperating with both agencies,” he wrote. Toyota Financial said in a statement today: "Because our discussions with the agencies are ongoing, it would be inappropriate to comment beyond noting that we look forward to continuing to work with them in pursuit of an outcome that serves the best interests of consumers while preserving auto finance providers’ ability to compete. We take seriously our commitment to diversity and inclusion, and that commitment extends to fair and responsible lending practices." Toyota Financial said it "currently has no plans to change our pricing model" despite the order. “While we are in preliminary discussions with the CFPB, we are confident that we are acting in the best interest of customers," Nissan Motor Acceptance said in a statement. "The discussions are exploratory in nature as we work to protect our customers’ ability to choose financing options that fit their specific needs and to negotiate the best rates possible. The CFPB wants lenders to switch to nondiscretionary compensation for dealers, such as a flat fee or a fixed percent of the amount financed, to eliminate discrimination. BB&T Dealer Finance announced a switch to flat fees last month after BMO Harris Bank launched a flat-fee program last year. In response to recent CFPB auto lending investigations, the National Automobile Dealers Association has consistently said that the most effective way to address credit risk while maintaining market competition is to follow NADA’s Fair Credit Compliance Policy and Program. The program calls for capping dealer reserve at a set percentage, say, 2 percent, and documenting the reason for any instance when a dealership reduces the amount, say, to meet a competitor’s offering. Finance sources’ “decisions should not be the product of CFPB pressure that will only serve to disrupt today’s highly competitive financing market without effectively addressing fair credit risks to consumers,” Paul Metrey, chief regulatory counsel for NADA, said in a statement to Automotive News.